Adorbs! 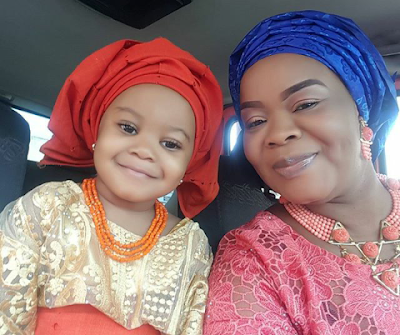 Bimbo Oshin and daughter stun in Native attire for cute selfie! Actress Bimbo Oshin just shared this selfie with her second child..
And How Cute is the little girl?? she's just mummy's Mini me!